Pokemon Let’s Go, Pikachu and Let’s Go Eevee takes place in the Kanto Region but that doesn’t mean that the Pokemon you will get to find is limited to that region. Luckily, there are certain Pokemon who managed to get into certain NPCs in the game that allow you to get them if you trade a specific Pokemon. 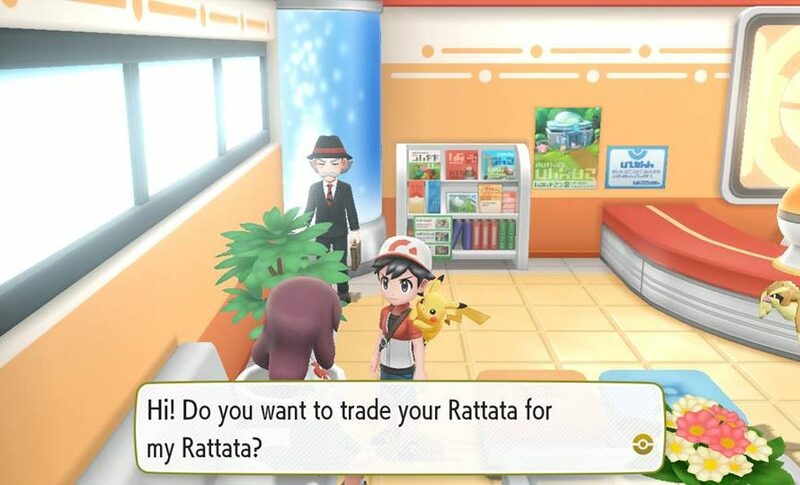 In the past Pokemon games, in-game trades have always been available for those who don’t have friends to trade Pokemon with. However, they are only limited to trading one copy. Apparently in Pokemon Let’s Go, Pikachu and Let’s Go Eevee, they can be done unlimited times as long as you have the Pokemon they want to trade with. Here are the list of In-Game trades that are possible in Pokemon Let’s Go, Pikachu and Let’s Go, Eevee. Please note that the Pokemon listed here will be their Alola Form as they are from the Alola Region. Description: Inside the Pokemon Center in Cerulean City, find a Lass sitting on the bench and trade your Rattata for her Alolan Rattata. Description: If you manage to get a lot of Geodudes in Mt. Moon, then you have an opportunity to trade them for an Alolan Geodude when you trade it to a Hiker that is located inside the Pokemon Center of Vermillion City. Description: Before heading off to the Ghost Tower, visit the Pokemon Center and find a lady sitting on the bench wanting to trade her Alolan Diglett for your regular Diglett. Description: Inside the Pokemon Center of Celadon City, a trainer sitting on the bench to your right will offer up her Alolan Sandshrew and Alolan Vulpix if you give her either Sandshrew or Vulpix. Description: In exchange of your Raichu, a trainer inside the Pokemon Center of Saffron City will trade her Alolan Raichu. Description: If you somehow have a Marowak in your party, head over to the Pokemon Center of Fuchsia City to trade it for an Alolan Marowak. Description: A Punk Trainer inside of the Pokemon Center in Cinnabar Island is looking for a Grimer or Meowth. If you give him what he wants, he will trade his Alolan form respectively. Description: Just before you take on the Pokemon League in Indigo Plateau, head to the Pokemon Center inside the Indigo Plateau to find a trainer looking for an Exeggutor. Give her what she wants to receive an Alolan form.